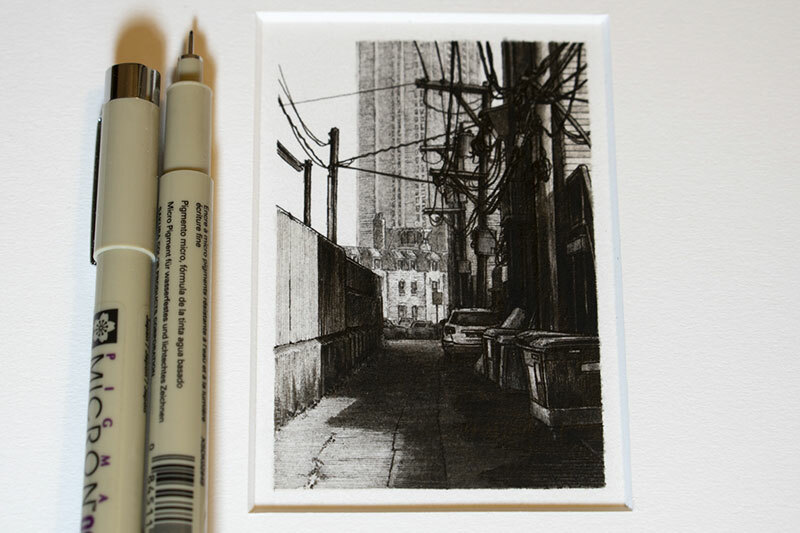 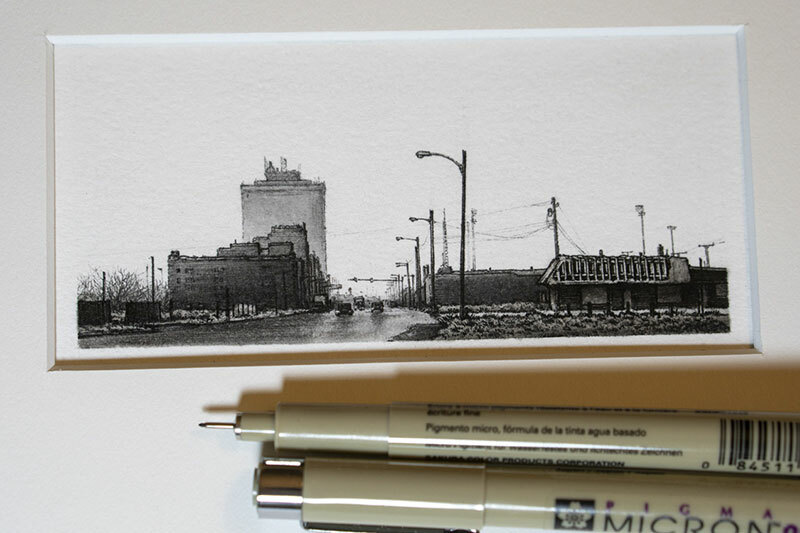 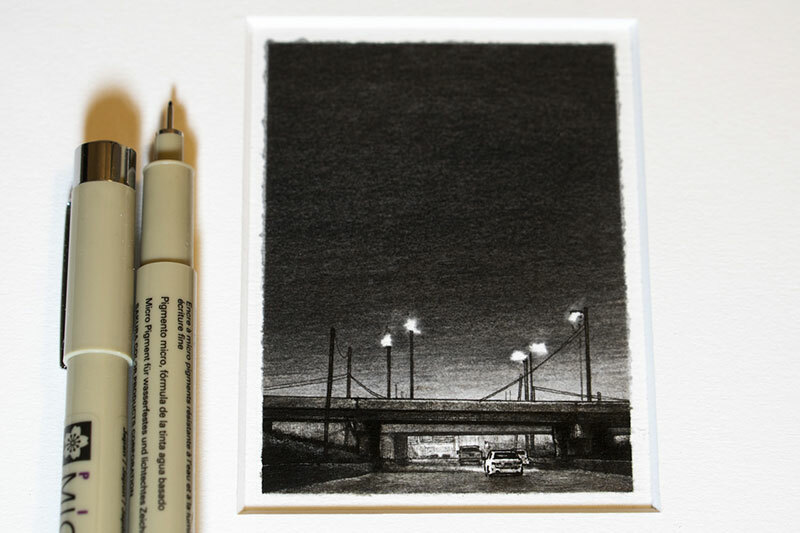 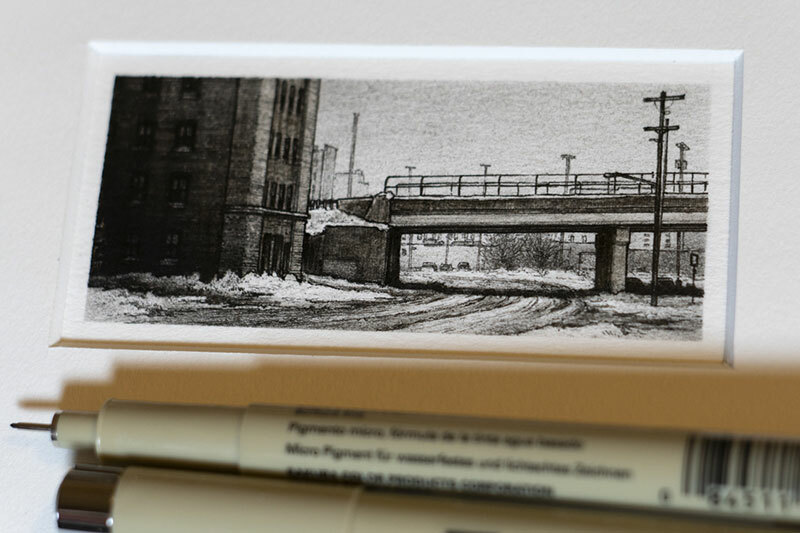 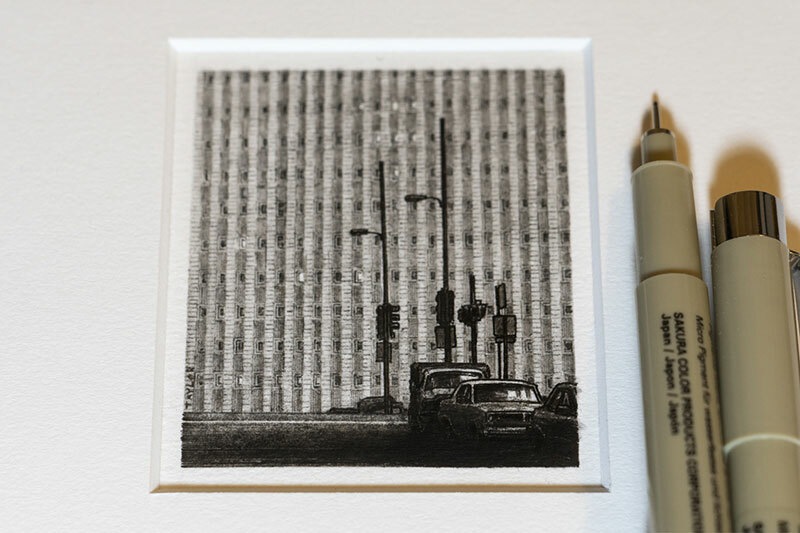 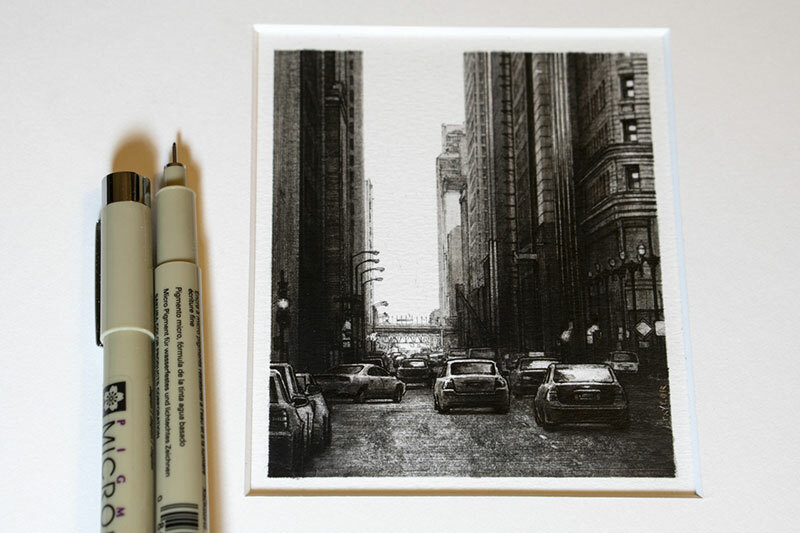 Small pen and ink drawings of alleyways, cityscapes, parked cars, and interstates by Grand Rapids based illustrator Taylor Mazer. 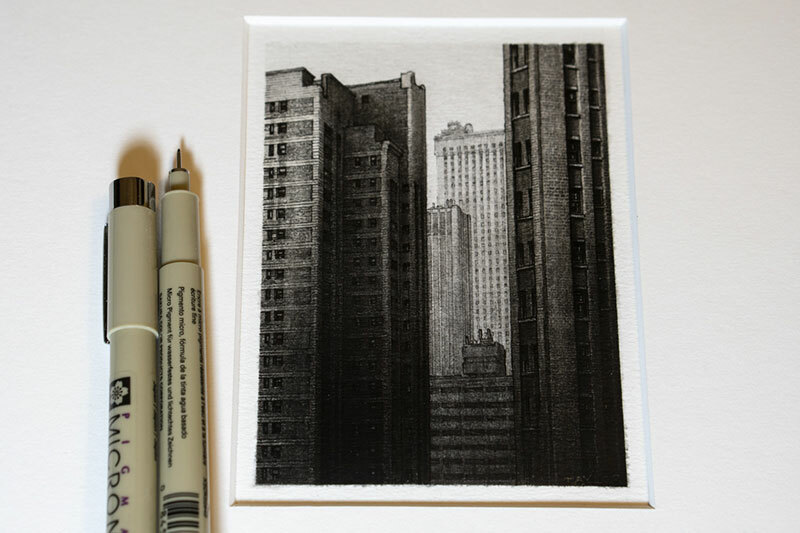 Each drawing takes about 3 to 15 hours to complete and he starts out by drawing the proportions and perspective in pencil. 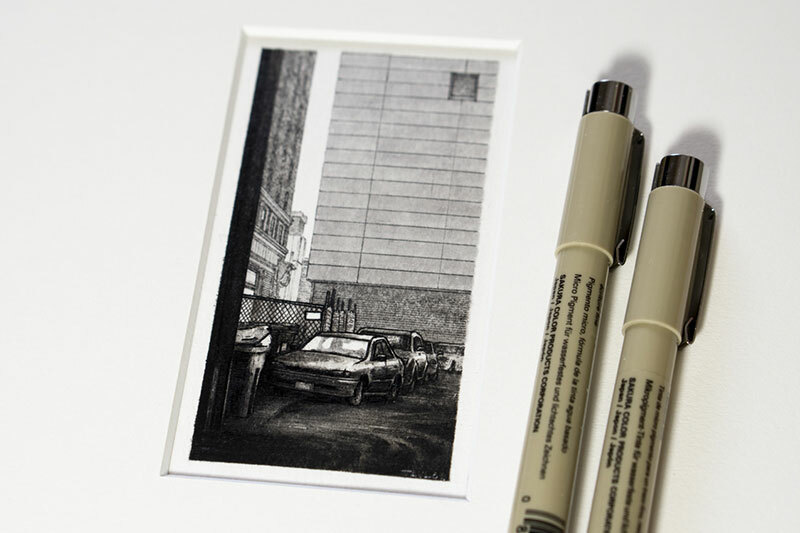 Then he goes over the pencils with a micron pen and begins erasing to get the various value shifts in the ink. 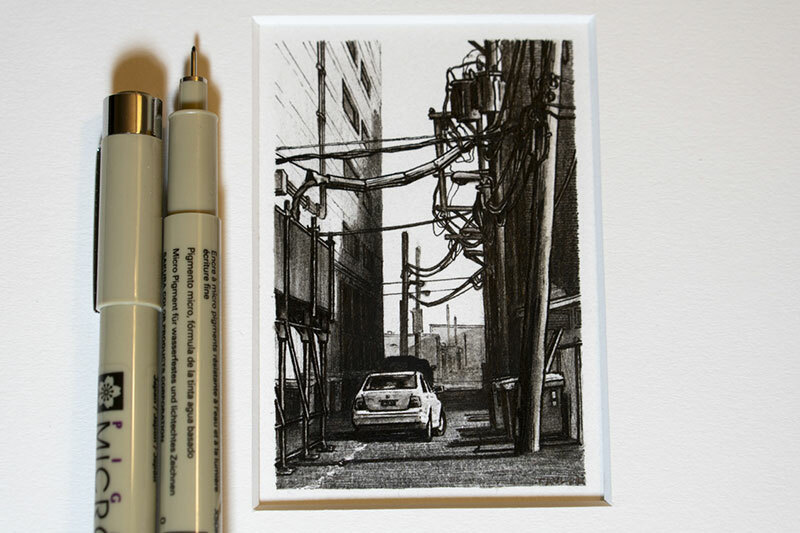 Small pen and ink drawings of alleyways, cityscapes, parked cars, and interstates by Grand Rapids based illustrator Taylor Mazer.